The next meeting of the Society takes place on Thursday 12th March at 7:30 pm in St. Andrew’s Church, Bilston Street, Sedgley. The speaker is Keith Hodgkins vice chairman of Tipton Civic Society and passionate Black Country heritage campaigner. Keith’s archive photographs of breweries show the changes over the last fifty years. There are sad losses like Hanson's and Simpkiss as well as the resurgent names of Sarah Hughes and Sadler's. Holden’s is Sedgley Manor’s sole industrial scale beer production and bottling plant. This year the family-run firm celebrates its centenary. However, there are two microbreweries. At Upper Gornal’s Jolly Crispin the Fownes Brewing Company set up in 2012, and Lower Gornal’s Old Bull’s Head is home to Black Country Ales. Over forty teasers have been set since 2003. Eventually ‘the most difficult ever’ had to make an appearance. 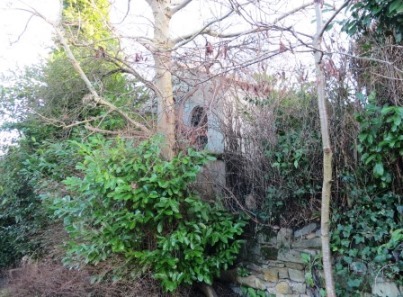 These photographs, taken in January 2015, show a disused chapel in Fir Street, Gospel End. Built by the Wesleyans in the 1840s to hold around 120 people it changed in the 1930s to a Baptist denomination. By the 1960s the building was no longer a place of worship, but used for storage and much later as a pottery. 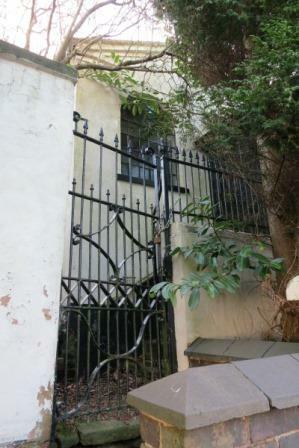 Today the premises are still in private hands and look unused.